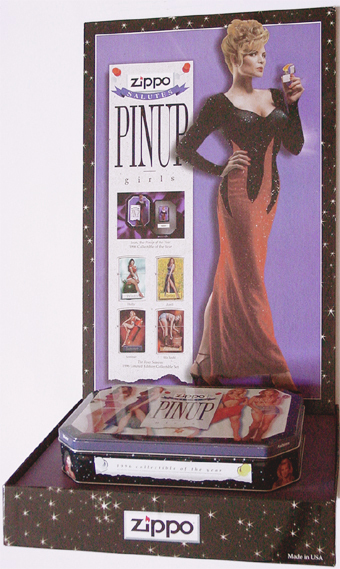 The 1996 Collectible of the Year paid homage to pinup girls who, throughout the years, have boosted morale and inspired thoughts of home in times of war and peace. 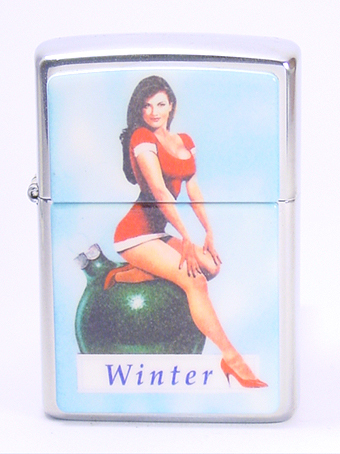 The lighter features a Technigraphic™ image of Joan, the Zippo Pinup of the Year. 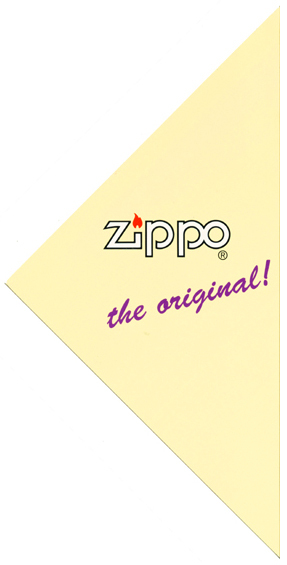 Zippo's Technigraphic process makes possible photo-quality graphic reproduction. 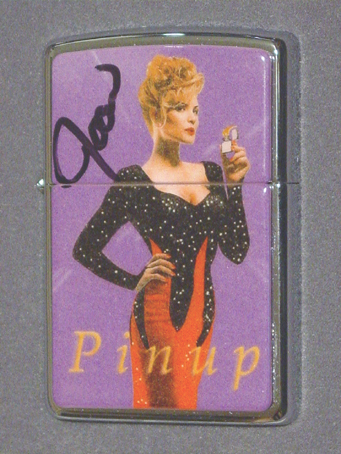 Each lighter is packaged in a keepsake tin, which features Joan's likeness on the lid, and a statement of authenticity on the bottom. 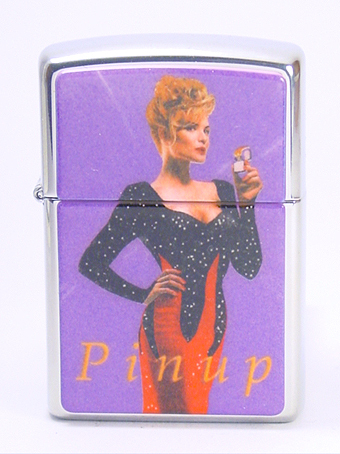 From head to toe, Pinup Girls are the warm and winsome stuff daydreams are made of. 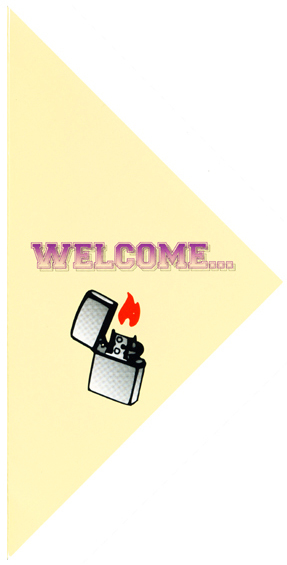 For decades, their playful deductiveness has lifted spirits and boosted morale. 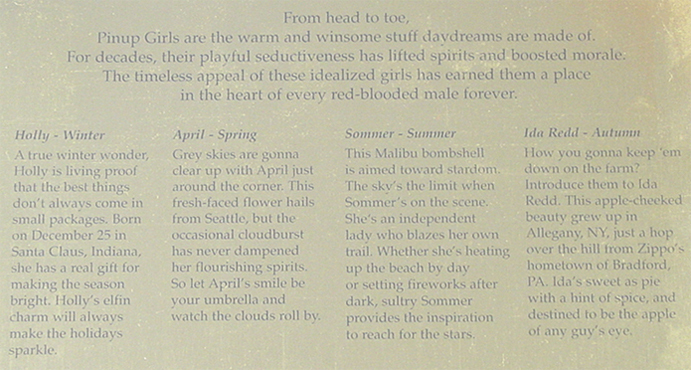 The timeless appeals of these idealized girls has earned them a place in the heart of every red-blooded male forever. 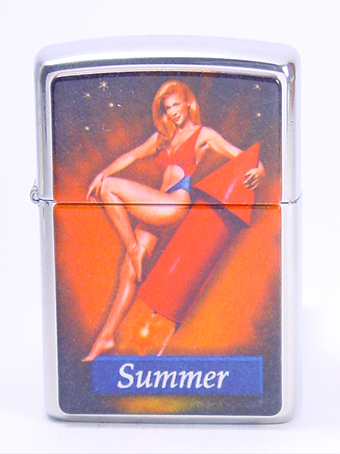 Joan - Pinup of the Year. This beauty queen calls "The Windy City" of Chicago home. Joan's classic features and regal bearing have won her titles like Miss Steady Flame. 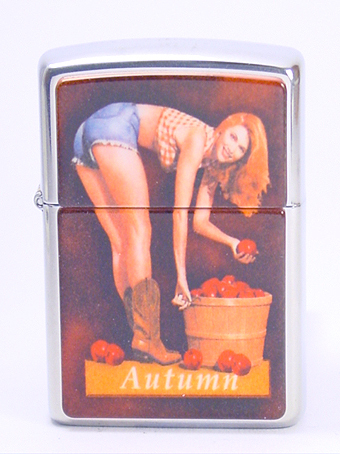 More than merely glamourous, this American Beauty is a wholesome lass with traditional values. 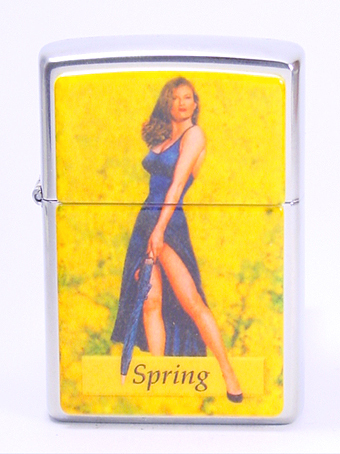 Depeddability, quality, and a lifetime commiment are what Joan looks for in a man - and in her Zippo windproof lighter. 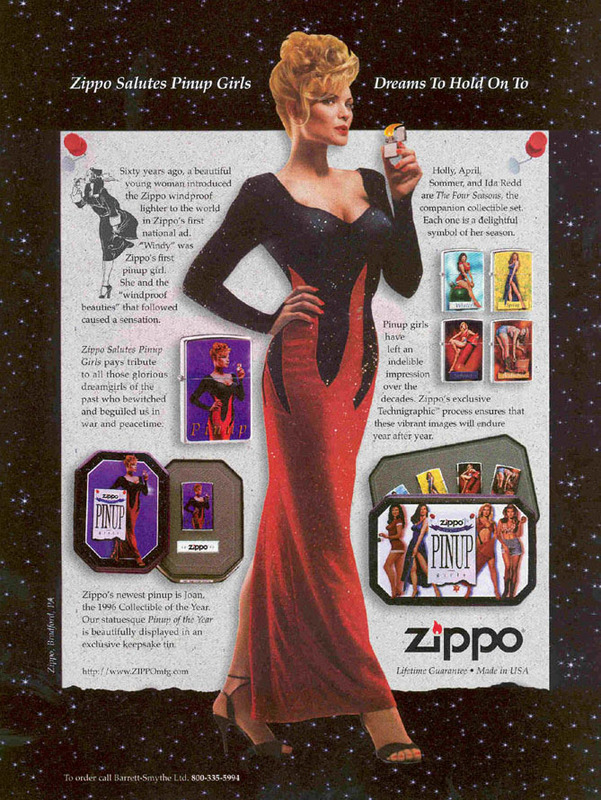 Her Zippo lighter perfectly complements her "Flaming Beauty" designer dress, making her the ideal date for the New Year and beyond. 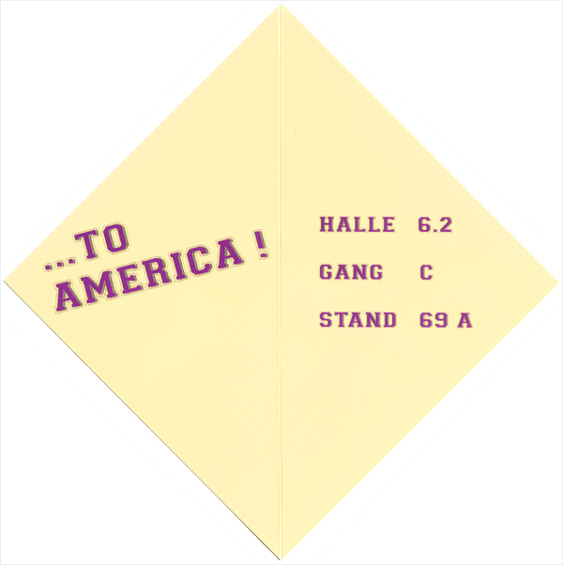 Every year the exhibition halls in Frankfurt, Germany are the location for the biggest international consumer-goods fair. A vast range of products for the table, kitchen, home, furnishing and giving can be seen presented by almost 5.000 exhibitors from more than 90 countries capturing the attention of international trade visitors with their new products and presentations. 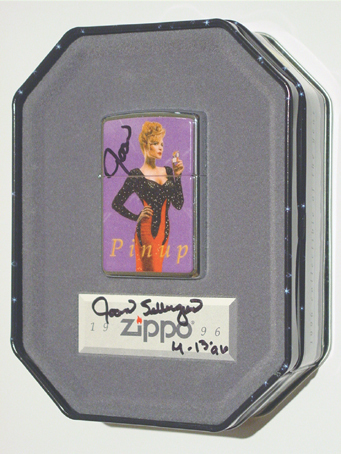 Of course Zippo Germany also shows their new range of products and designs here for years, but in 1996 the stand had a very special attraction. 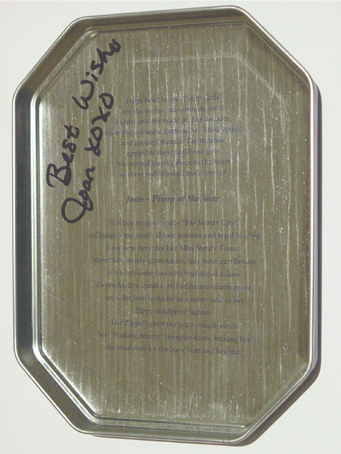 on the inside of the tin. "Holly - Winter" "April - Spring"
"Sommer - Summer" "Ida Redd - Autumn"